Most people are familiar with Hidden Mickeys, but have you ever come across a hidden other character in the parks? Ever since visiting Disney's California Adventure a few months ago, I've been pretty much in love with Oswald. This made it even more exciting when I found this Hidden Oswald along the walkway in New Fantasyland during a recent visit to Magic Kingdom. entrance to Maurice's cottage at the Enchanted Tales with Belle attraction. Have you ever found any hidden representations of characters other than Mickey? 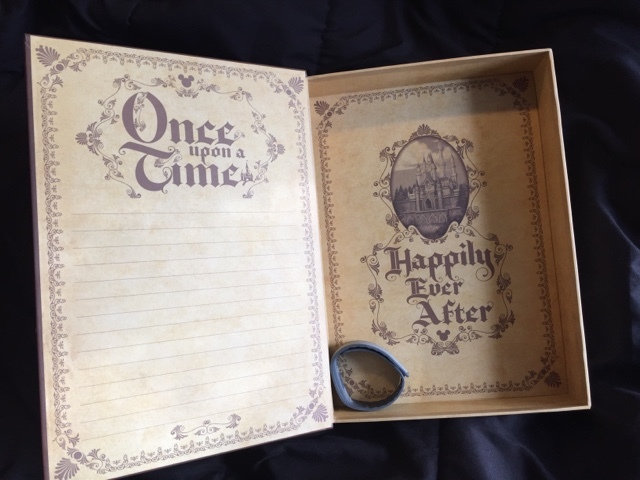 Speaking of where to keep all that ephemera... have you seen these keepsake boxes? I'm not sure how long they've been around, but I first saw them last month at Disney's Boardwalk Inn. There were two styles- a medium size featuring Wishes, and this larger version- Once Upon a Time. Designed to look like a book and fit nicely on a shelf, the cover features a slot to slip a photo in (though I really like the look of the default picture of Sleeping Beauty Castle). The inside features a spot for writing down dates, info, or special memories from your visit. There's plenty of room for holding a variety of items, ephemera and souvenirs alike. The magic band in the photo below will give you a size reference. 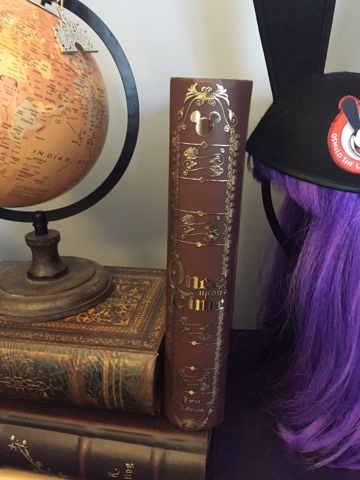 The spine is nicely designed, with faux leather and goldtone detailing. Have you seen these keepsake boxes?